Legendary Cart Noodles restaurant operates within Singapore’s Jurong Point shopping centre, at 1 Jurong West Central 2. Originally, cart noodles rose to fame in Hong Kong in the 1950s, when hawkers roamed the streets and sold food out of carts assembled out of wood and metallic basins. These street vendors specialized in cooked noodles with an assortment of toppings and sauces. The cart noodles were referred to as the common man’s food as it was cheap but substantiated with large quantities of noodles. Today, this dish is now a trendy street food that is easily accessible. Apart from cart noodles’ affordability, they are especially popular due to simple yet delicious flavours. At Legendary Cart Noodles, you can expect a cart noodles experience just like the one in Hong Kong, where dining is no frills, straightforward and fuss-free. You simply order and create your own delicious bowl by selecting your preferred type of noodles, toppings, and sauces, a combination that is then paired with a delicious, flavourful broth. Certain ingredients are specially imported from Hong Kong to ensure a taste of authenticity. To learn more about the team behind Legendary Cart Noodles, you can browse through their official website. 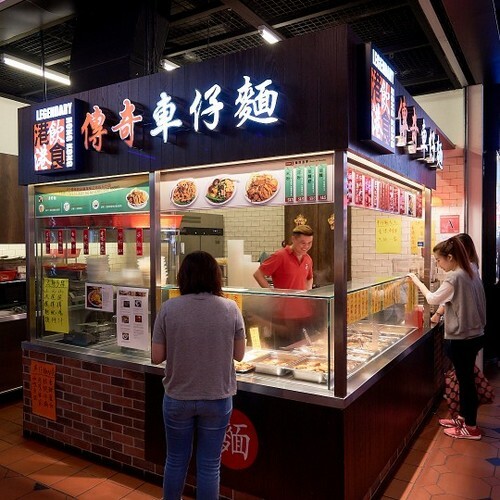 Legendary Cart Noodles restaurant in Singapore has a great location, within Jurong Point, the largest local suburban mall with more than 400 food and retail outlets.